Many young girls and grown women play with their hair. Often they unconsciously twirl it around a finger, especially when they’re bored or tired. It’s a harmless habit. Of more consequence is trichotillomania, a disorder characterized by a recurrent, irresistible urge to pull hair out of the scalp, eyebrows, eyelashes and other parts of the body, resulting in noticeable bald patches. According to the National Center for Biotechnology Information, trichotillomania may affect as much as 4% of the population; women are four times as likely as men to be affected. Trichotillomania is generally classified as an impulse control disorder, meaning it is driven by an uncontrollable impulse or urge to perform a harmful act. The individual feels increasing tension that can only be relieved by performing the act; afterward, there is often a sense of shame or regret. Depression and anxiety are common among those with trichotillomania, as are other body-focused repetitive disorders such as skin picking or nail biting. It isn’t known exactly what causes trichotillomania but there may be a genetic component to the disorder; having a close relative who is affected increases an individual’s risk. An imbalance in the brain chemicals serotonin and dopamine might play a role. It usually develops between the ages of 11 and 13 and while it is also seen in younger children – even as young as a year old – those cases are often mild and resolve after a year or so without treatment. For those for whom it is a lifelong disorder, complications include abrasions and infections in the area where the hair is pulled and digestive problems for those who eat the hair. While medication such as selective serotonin reuptake inhibitors (SSRIs) may reduce some symptoms of trichotillomania, the most effective treatment is a combination of education, medication and psychotherapy. The most successful results are typicall from cognitive behavioral therapy (CBT), an approach in which patients learn to change their thoughts, feelings and behaviors so they can recognize and manage the impulses that lead to pulling without giving in to them. With CBT, therapists will use a behavioral technique known as Habit Reversal Training, a three step procedure designed to increase awareness, to teach relaxation strategies and to help identify a behavior that is incompatible with the hair pulling. This behavior, known as a “competing response” often involves using the same muscles as in the hair pulling but used in a discreet manner that would not easily be noticed if done in public. For example, clenching one’s fist and pressing their arm to their side are common competing responses for hair pulling. 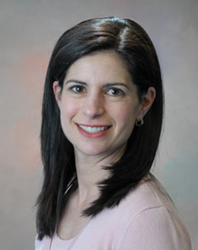 “Trichotillomania can be a stubborn, chronic disorder,” says Dr. Rosenberg. For many people, it is a way of dealing with negative emotions such as anxiety, loneliness or stress, but the humiliation and embarrassment that result exacerbate those emotions. Francine Rosenberg, PsyD., practices cognitive-behavior therapy, specializing in treatment of obsessive-compulsive disorder as well as stress, depression, anxiety disorders, behavioral disorders and relationship problems.